“Negotiating dynamic shifts of emphasis,” The Independent has noted, “Dénes Várjon displays that most valuable of gifts: the ability to play in a way which makes you listen anew to the familiar.” This capacity is to the fore in the Hungarian pianist’s sensitive exploration of Schumann’s Fantasiestücke, Ravel’s Gaspard de la nuit and Bartók’s Im Freien – an illuminating journey through three worlds of poetic imagination. As Jürg Stenzl writes in the liner notes. “All three works were bold forays into fundamentally new music that far transcended the limits of their time. They require pianists for whom transcendent virtuosity is second nature.” Dénes Várjon more than fulfils the requirement. One of the most sought-after soloists and chamber musicians, he is a musician who puts the core and meaning of the compositions ahead of self-display. Recorded in Lugano in 2016, De la nuit is Varjon’s fourth appearance on ECM and his second solo album for the label, following on from his widely acclaimed recital Precipitando, with music of Berg, Janáček and Liszt. Two other New Series releases revolve, directly and tangentially, around the world of Robert Schumann. Together with Carolin Widmann, Dénes Várjon played Schumann’s Violin Sonatas on a recording showered with awards and praise (“the most eloquent and convincing performances I have ever encountered of this music”, wrote Nigel Simeone in International Record Review.) Várjon also contributed to Heinz Holliger’s Romancendres, a creative meditation upon the lost Schumann Romances. Maurice Ravel’s Gaspard de la nuit was composed in 1908, drawing inspiration from the verse collection of the same title by proto-symbolist poet and playwright Aloysius Bertrand. As Ravel put it, his “ambition was to express with notes what the poet says with words.” Ravel’s Gaspard is a notoriously demanding piece, particularly in the third movement, ”Scarbo”, intended to portray the nocturnal scurrying and mischief-making of a fiend or goblin in what the composer described as “a caricature of romanticism”. Várjon elegantly rises to its challenges. The album ends with Bartók who for Dénes Várjon stands as an exemplar of the importance both of rootedness in tradition, including Hungarian folk tradition, and openness to new experience and influences. Im Freien (Out of Doors), written in 1926, reflects both aspects. There are evocations of folk instruments, folk song quotation, and, in the 5th movement, “Klänge der Nacht” also evocations of the sounds of animals, birds and insects of the forest. 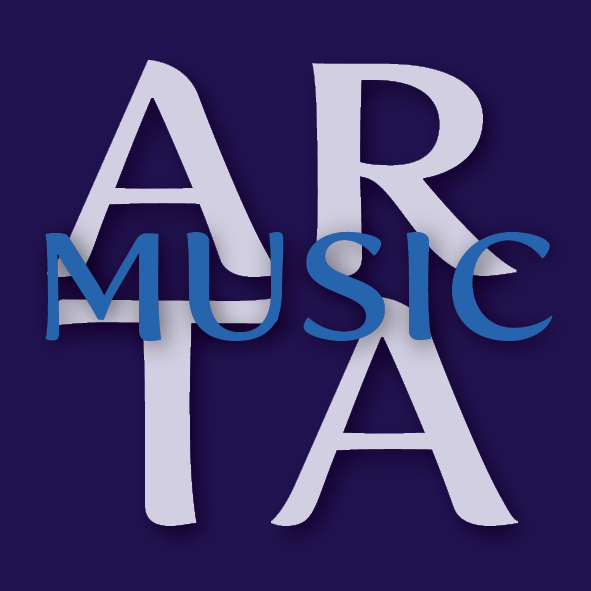 And new sonorities are explored as Bartók emphasizes the expressive potential of the piano as percussion instrument. Dénes Várjon, born 1968 in Budapest, studied at the Ferenc Liszt Academy of Music, receiving tuition in piano from Sándor Falvai and chamber music from György Kurtág and Ferenc Rados. Parallel to his studies, he was a regular participant of master classes with András Schiff. He was first prize winner of the Piano Competition of the Hungarian Radio,the Leo Weiner Chamber Music Competition in Budapest, and the Concours Géza Anda in Zürich. Várjon is a regular guest at festivals including Salzburger Festspiele, Lucerne Festival, Schleswig-Holstein Musik-Festival, Biennale di Venezia, Marlboro Festival (USA), Klavierfestival Ruhr, Kunstfest Weimar, and Edinburgh Festival, and has been a frequent contributor to András Schiff’s and Heinz Holliger’s Ittinger Pfingstkonzerte. He has performed with major orchestras such as the Camerata Salzburg, the Academy of St. Martin in the Fields, the Wiener Kammerorchester, the Franz Liszt Chamber Orchestra Budapest, the Camerata Bern, the Orchestre de Chambre de Lausanne, the Hungarian State Symphony Orchestra, the Tonhalle-Orchestra Zürich, the Radio Symphony Orchestra Berlin, the Orchestre Philharmonique de Strasbourg, the Scottish Chamber Orchestra, the Chamber Orchestra of Europe, the Bremen Philharmonic, Gidon Kremer’s Kremerata Baltica, and many others, and working with conductors including Heinz Holliger, Adam Fischer, Leopold Hager, Iván Fischer, Hubert Soudant, Peter Rundel, Thomas Zehetmair and many more. Dénes Várjon’s crowded concert schedule this autumn includes dates at the World Conference Centre in Bonn in September where he plays repertoire including music of Schumann, Liszt and Beethoven (September 8) and Berg, Kurtág, Liszt and Beethoven (September 9). 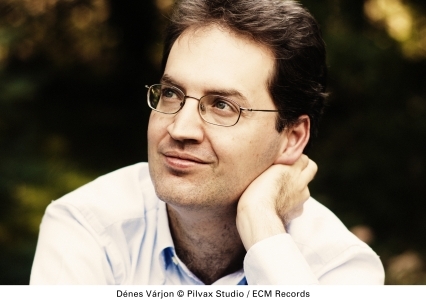 For further details visit www.denesvarjon.com and the ECM website. CD booklet includes liner notes by Jürg Stenzl in German, English and French.